We’ve all used a fresh breath remedy at least once in our lives. From mints to mouthwashes, there are so many treatments for bad breath. This dental issue is embarrassing and can quickly lower one’s confidence in the presence of people. A dentist Richmond Hill can evaluate the patient’s condition and determine the cause of bad breath. But what causes bad breath? What you eat: There are different causes of bad breath. The most common one has to do with food that has been consumed. It’s popular knowledge that your breath may stink if you take too many onions. Other foods like garlic, cheeses and fish are also common contributors of bad breath. Early morning breath: There’s also bad breath that many people experience in the early morning. This type of bad breath is caused by mouth dryness. Drinking enough water or taking over the counter medication to relieve mouth dryness can help fight bad breath. Gum disease: The other common cause of bad breath is periodontal diseases. When you have a gum disease like gingivitis that goes untreated, the resulting effect is bad breath. This is because you will have oral bacteria that is trapped in the tongue. The oral bacteria can be formed when proteins are trapped in the tongue. 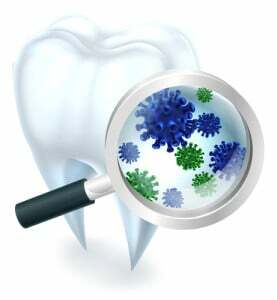 Gum disease has been covered in general dentistry and has many preventative and curative approaches. Smoking: Bad breath, commonly known as halitosis, is also very common among smokers. Smoking not only makes your breath stink, it also stains your teeth, causes gum irritation and puts you at risk of serious illnesses like lung cancer. Smoking can also expose you to periodontal diseases, another major cause of bad breath. You need to stop smoking in order to stop bad breath and prevent gum disease. Medication: There are some types of medicines that contribute to bad breath. Common ones are those that contain nitrates, some chemotherapy medications and tranquilizers. If you notice that some medicines you are taking are causing serious bad breath, consult your local dental office Richmond Hill for help. Medical conditions: Bad breath can be as a result of an underlying disease. For instance, people who suffer from dry mouth (xerostomia) can have bad breath because of the bacteria build up in the mouth. There are those people who suffer from dry mouth because of issues in their salivary glands whereas others experience dry mouth due to breathing through the mouth instead of the nose. Bad breath can be caused by gastrointestinal conditions like bacterial infections in the stomach lining. If you have a gastrointestinal condition that is causing bad breath, the doctor may recommend endoscopy in order to examine the area and provide a complete diagnosis. Other conditions like diabetes, nose, throat and lung infections can also cause bad breath. To avoid bad breath, you must practice good oral hygiene. This is what helps to avoid bacteria buildup in your teeth. Floss and brush your teeth regularly to get rid of the food particles that get stuck in between your teeth and are responsible for bad breath. Brush your tongue to ensure bacteria doesn’t build up and cause bad breath. Remember to use the right toothbrush and avoid being too harsh on your teeth and gums. Visit the expert in family dentistry regularly to get advice on how to keep bad breath at bay.